This is one of the easiest ways to cook any type of fish. It’s also one of the tastiest, and fastest. Perhaps more than any other technique, this is how I choose to get fish on the table in a hurry. Whitefish is a generic term that refers to many different types of fish, all of them easy to find and cook. 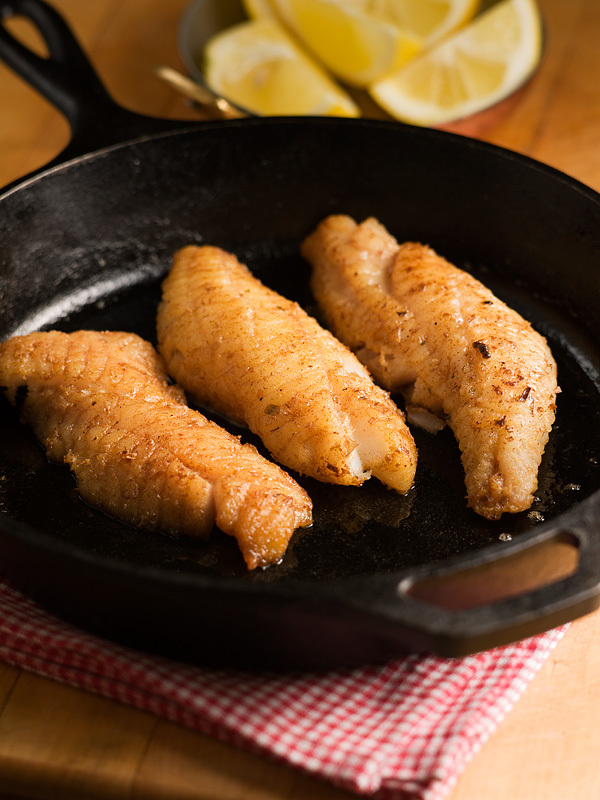 This method is excellent for any whitefish: halibut, hake, haddock, sole, cod, flounder or tilapia. You can add lots of personalized flavour to the seasoned flour. Try replacing half or more of the flour with fine cornmeal. 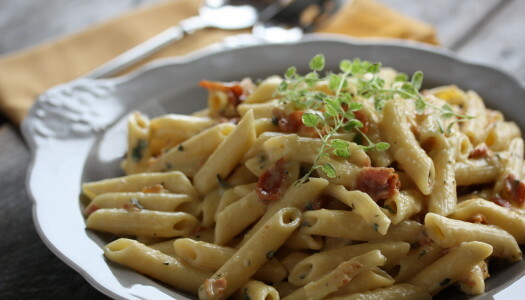 Dill, thyme, tarragon and oregano all work well as fresh herbs while chili powder, curry powder, ground cumin and red pepper flakes all make excellent spices. My all-time favourite addition, though, is a paprika-based spice blend commonly found along the southern Atlantic coastline: Old Bay Seasoning. 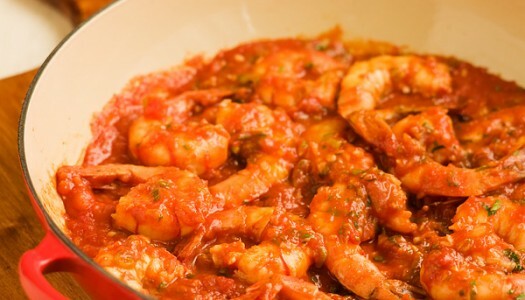 Shrimp is the most popular seafood in North America, and topped with cocktail sauce is one of the most popular ways to serve it. This super-simple method cooks the shrimp and makes the sauce at the same time. For best results and a great sustainable choice, purchase shrimp from North America where its harvest is subject to strict regulations. Imported shrimp is often raised or trawled in a very irresponsible manner.